to contact our operators directly. BAC CUSTOMER CARE Service offers an online CHAT, Monday to Friday from 8:30 am to 1 pm, and from 3 pm to 4.30 pm. Our online CHAT allows to communicate directly with our operators, in person, to satisfy all your needs about our products and services. ENTERING THE CHAT IS VERY SIMPLE: CLICK ON THE “CUSTOMER CARE” BUTTON, ON THE RIGHT BOTTOM PART. To chat in after hours, our CHAT is automatically available “offline”. Our CUSTOMER CARE service is also available Monday to Friday, from 8:30 am to 1:20 pm, and from 2:40 pm to 4:50, at the following phone number: 0549.871424. 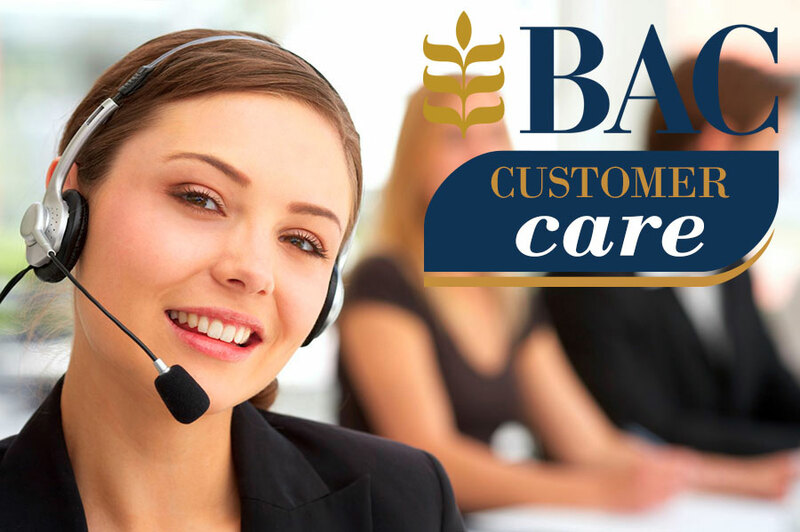 You can also send an email to our CUSTOMER CARE service at the following e-mail address: customercare@bac.sm. The experience gained by the operators CUSTOMER CARE enables the continuous implementation of the following form: FREQUENTLY ASKED QUESTIONS. When can I use the Customer Care Service? What things can I do with a bank account? The ATM can be used all over the world? If I lose or rob me of a credit card or debit card what should I do? ATM (cash machine) can make the cash payments or checks? The experience acquired by the operators CUSTOMER CARE enables the continuous implementation of the FAQ module. The online chat is available from 8:30 to 13:00 and from 15:00 to 16:30 from Monday to Friday. activate a pension insurance policy. The debit card is used throughout the world, where the circuit is active. Sure, you can pay bills and checks into your account automatically, saving time and avoiding long lines. Just go to an ATM that has the payment function. Enter your card and performs the operation. You do not have to fill any distinct.